If you’re not Italian, or an Italian-American who grew up celebrating Nonna’s Old World food traditions, you might be unfamiliar with this smooth, bright-white cheese that comes in white plastic containers. Delicate in texture (think tofu), it’s made with pasteurized cows’ milk and rennet, an enzyme that causes milk to become cheese by separating it into the solid curds and liquid whey. The stuff looks like a cross between fresh mozzarella and ricotta, but has a much milder taste than those semi-soft cousins — somewhat bland, if we’re going to be perfectly honest, with only the faintest flavor of curds. Some eat basket cheese right out of the slotted container, on top of crackers or good crusty bread, perhaps with a little honey, jam or fruit to sweeten things up, or with a generous drizzle of good-quality olive oil, sprinkle of salt and grind of black pepper. You also can crumble the cheese onto tossed greens for a light lunch (it has just 70 calories in a 1-ounce serving) or pair thick slices with olive spread or tomatoes in a grilled-cheese sandwich. Others like to sprinkle it on top of pasta or marinate it for an antipasto. You also can whip it with sugar and heavy cream into a velvety, pudding-like dessert. 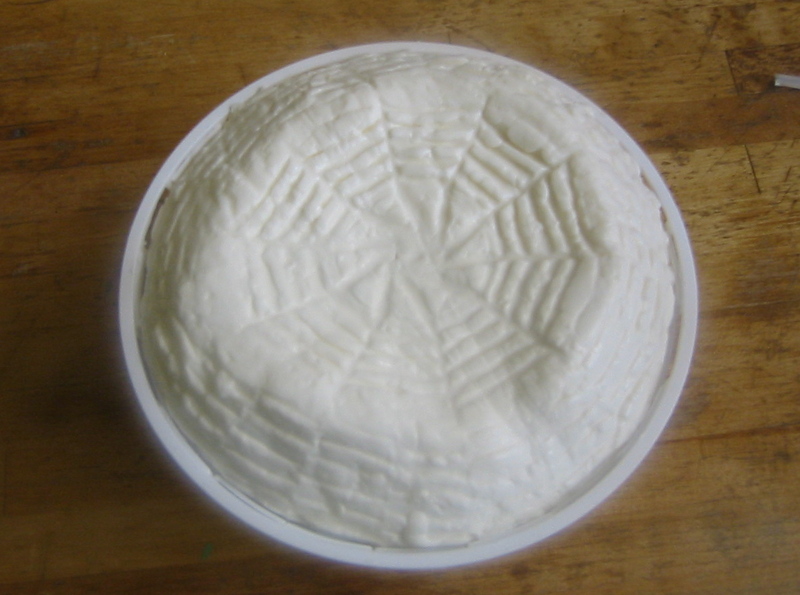 Basket cheese’s most popular use, though is in a rich, seasonal specialty known as Italian Easter pie. 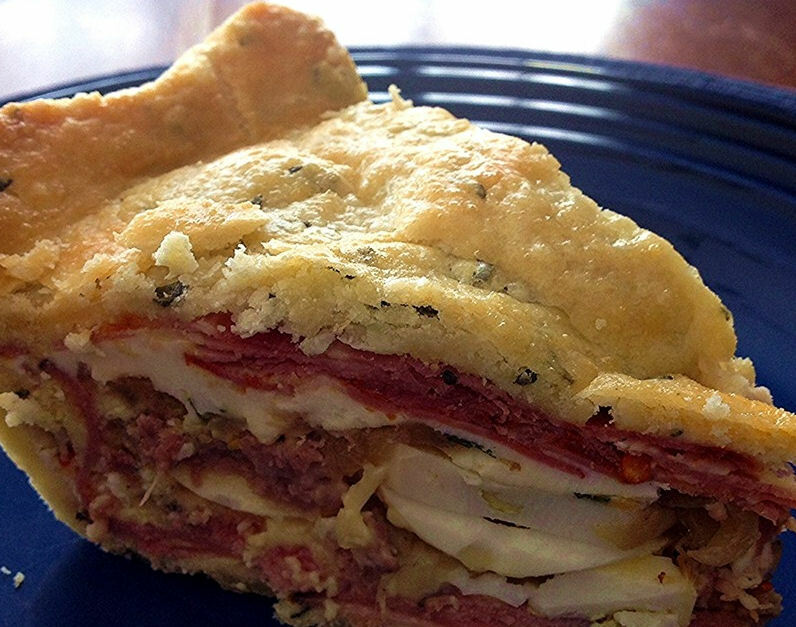 Every region in Italy has its version of the savory dish, which also is known as pizza rustica, pizza chena or pizzagaina. In the Campagna region of Southern Italy, for instance, where the Easter tradition originated as a way to clear smokehouses of winter sausages, the double-crusted pie is stuffed with spicy-hot sopresatta and prosciutto along with basket cheese, ricotta and parmesan; you’ll also find recipes that include hard-boiled eggs, salami, sausage, pepperoni or Parma ham — sometimes all of the above. Really, there is no “right” way to do an Easter pie, other than to go all out with your favorite cured or salted meats and cheeses — and not be cowed by all the calories. It helps celebrate one of Christianity’s most important holidays, after all, so why not indulge?